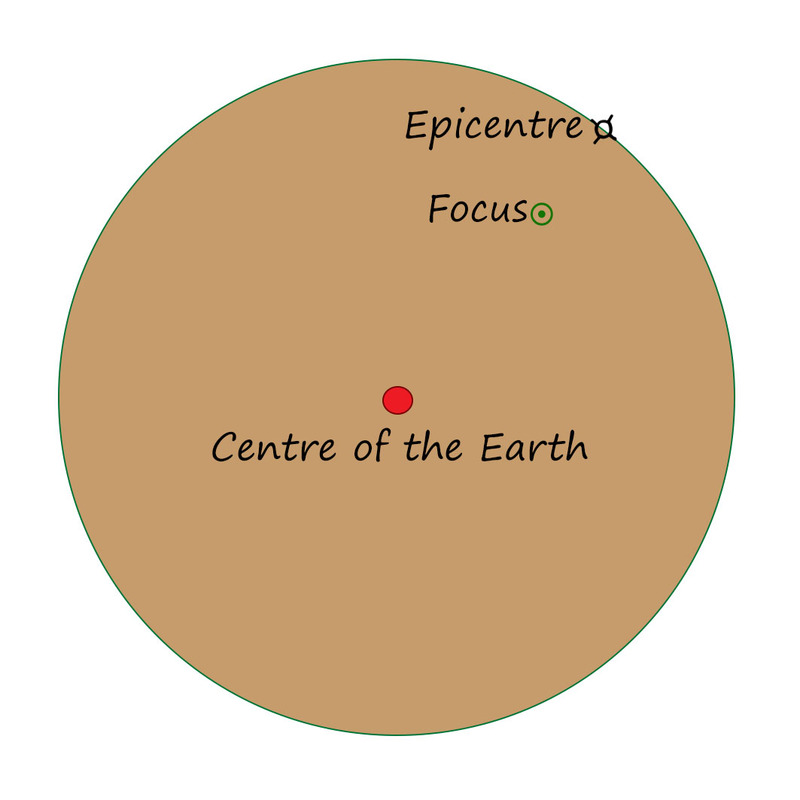 When locating an earthquake we use two key terms to describe it’s position; Focus and Epicentre. The Focus is the actual place within the Earth where the quake occurred. This will obviously be a three-dimensional co-ordinate deep below the ground and hidden from view, so it is a difficult position to imagine. To make life easier we also describe the earthquake’s position as if it was at ground level. To do this we draw an imaginary line from the centre of the Earth and through the focus. The point where that line emerges from the earth’s surface is called the Epicentre. The epicentre is a very useful description since it allows us to explain the location of the ‘quake in terms we can understand, such as “50km south of Tokyo” or “In California“.